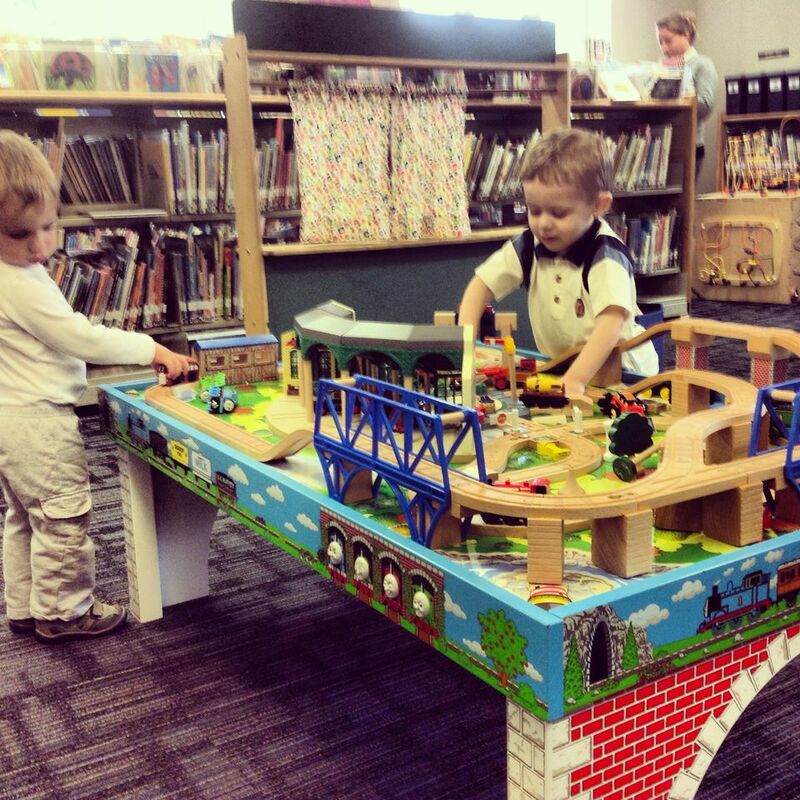 Anyone that has brought young children to our library’s children room has dealt with the desire more children have to stay and keep playing, bring a train home, or some variation of the vary familiar “I don’t want to go” syndrome. Those of us that work in the children room see it daily, and are well versed in distraction and sympathy for those dealing with the situation. Why not pick out some books about trains to help ease the distress caused by leaving behind so much fun? Here are some picture books and easy non fiction that are perfect for young train lovers. More train books that might satisfy young fans include: Trains by Amy Shields, Freight Train by Donald Crews, Trains by Byron Barton, Trains by Paul Stickland, How to Train a Train by Jason Carter Eaton, Steam Train, Dream Train by Sherri Duskey Rinker, Planes, Trains and Cars by Simon Abbott, or I Love Trains! by Philemon Sturges. You might also be interested in these dvd’s for fast and fun satisfaction: Thomas and the Magic Railroad, Lots & Lots of Big Trains. Volume 1, Barney: Planes, Trains, Cars, Cars, Trucks, Trains, Planes ,Thomas & Friends. It’s Great to be an Engine!, Thomas & Friends. Blue Mountain Mystery, or Chuggington. Chief Wilson amoung many others.